Do you want more leads? 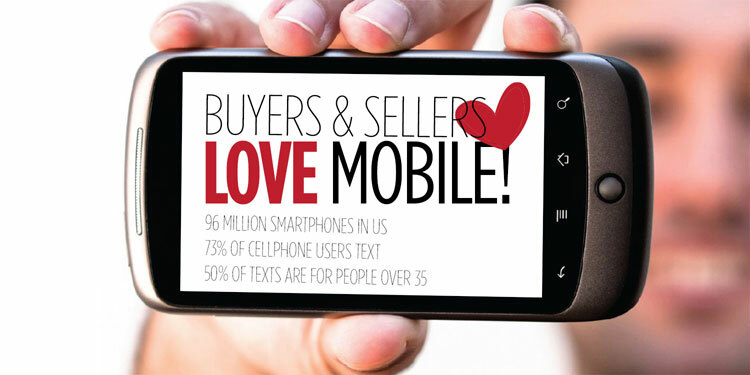 In today's day and age mobile is everything so if you want more buyers you should harness the power of Text Message Call Capture for ALL of your listings. Last year it was estimated that as many as 145 Billion Texts were sent worldwide. Let's face it with approximately 56%+ of people having smartphones in the US alone (Roughly 80% for the 18-34 demographic which is perfect homebuying age) mobile is everywhere. It seems like everyone is texting these days (how many texts did you send in the last 24hours). Our mobile Buyer Lead platform is a total replacement for the outdated old 800 call capture. As a consumer we don't want to listen to a recording, we want pictures and information and we expect it quick. In a Google world consumers are spoiled and if you don't provide the information they desire quickly, buyers will find it elswhere. Our system creates a unique text code for every one of your listings (you can even edit it to be a word like the street name to make marketing even easier like text "Main"...etc.). When a buyer drives by a listing and see's one of our super fancy full color sign riders, reads about your listings in print ads or visits your marketing online (via Zillow, Trulia, YouTube and more)...they are prompted to text for more information on your listing. 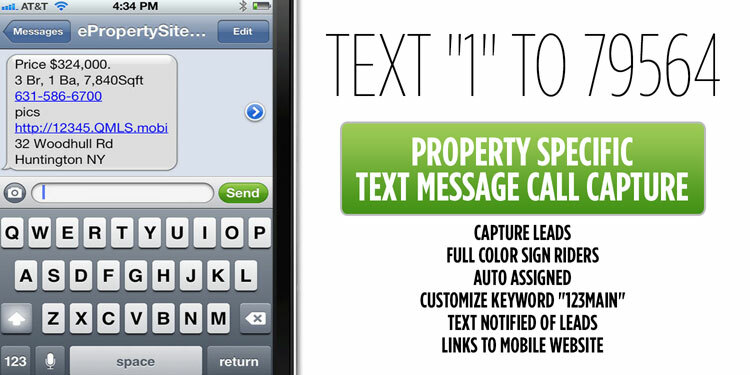 This gives you a Buyer Lead instantly which is texted to you so you can call them seconds later. Buyer Leads can then look at ALL the interior and exterior photographs right on their mobile device while sitting in front of homes...ah the glory of modern technology! 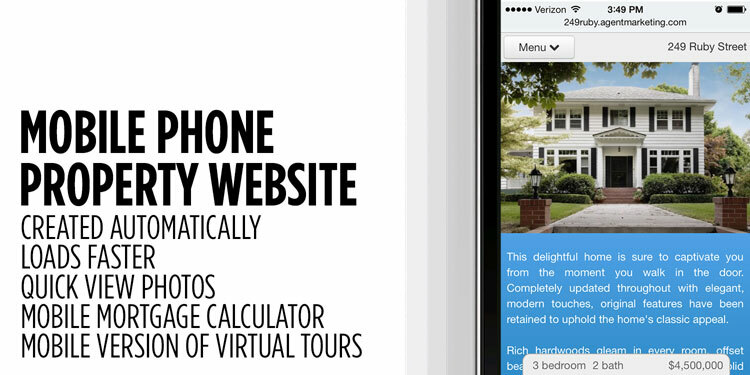 We create a responsive design mobile friendly website that allows buyers to chat with you while you are out showing homes. After you get texted and emailed the lead, you'll hotkey their number, call and ask the potential Real Estate Buyer if they would like to see the home that day. Our system makes it so easy you can create all of your marketing including your Lead Capture Text Code directly from your MLS feed. This is the number one, most buyer friendly, information driven, way to capture leads! Buyer Leads can then look at ALL the interior and exterior photographs right on their mobile device while sitting in front of homes...ah the glory of modern technology! We have created a responsive design mobile friendly website that allows you buyers to chat with me while I am showing homes.